The aronia berry fruit bush can grow up to 3-metre-high shrubs and belongs to the family of rosaceous plants. The reddish to violet berries are harvested in late summer. 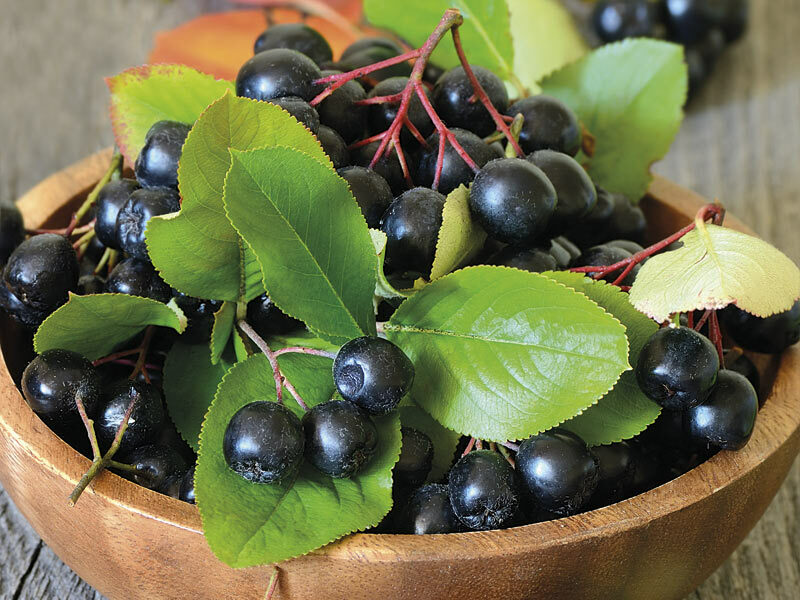 Aronia is a wild fruit which has strong resistance against parasites and diseases. The shiny violet wild fruit is characterized by a novel, stringy and sour to tart flavour. The juice or the concentrate produced at our company contains considerable amounts of secondary plant substances, particularly procyanidins from the group of polyphenols. Its content is approx. five times higher than in other berry types.